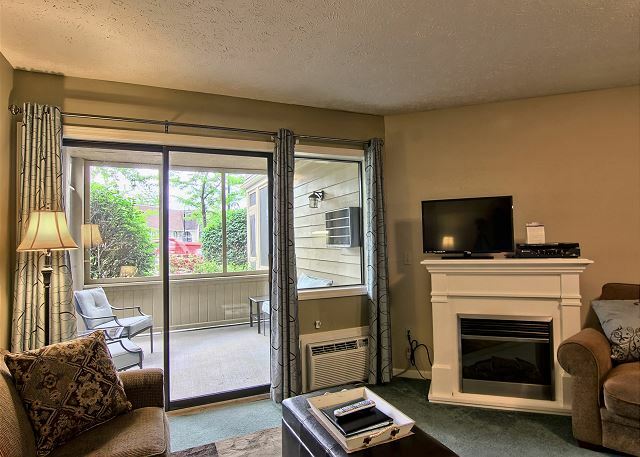 This cozy living room includes a sleeper sofa, comfy chair, electric fireplace, TV with cable & DVD player. 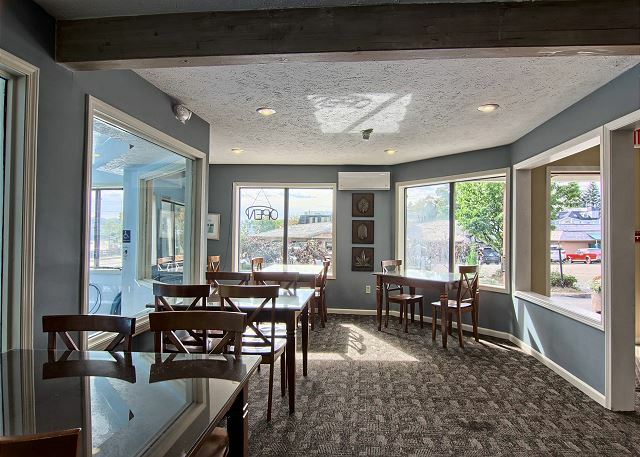 This unit also includes a roomy patio off of the living room where you can relax with a nice cup of coffee in the morning or enjoy northern Michigan amazing sunsets. It includes a couple of chairs and a table. 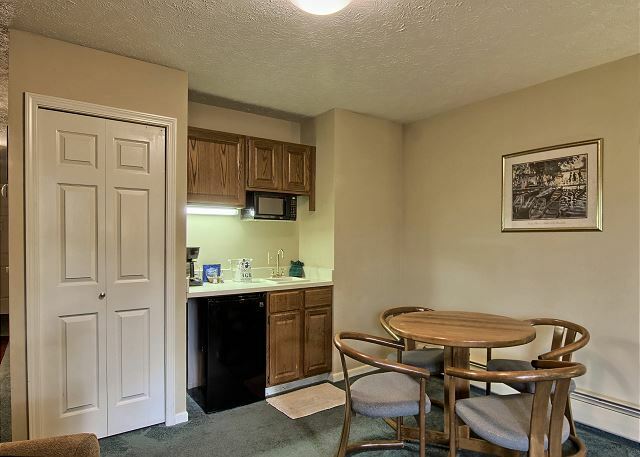 This kitchenette includes small fridge, coffee pot, microwave, toaster. Plus a round table with four chairs. This huge bathroom includes a jetted jacuzzi tub, shower, vanity with lots of space and a separate area for the toilet. 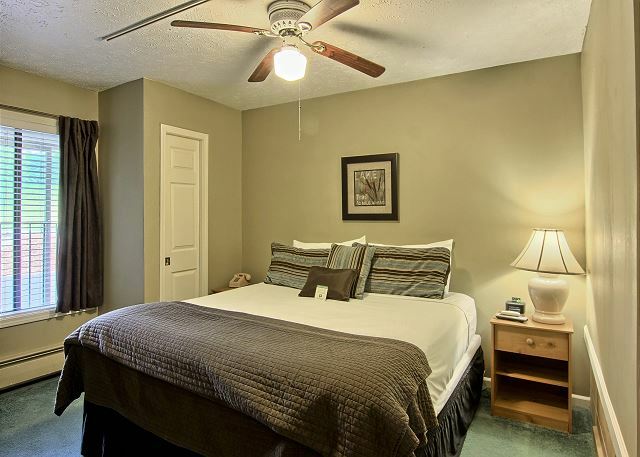 The bedroom in this unit has a comfortable king sized bed, two bedside tables, a dresser, closet and TV with cable. 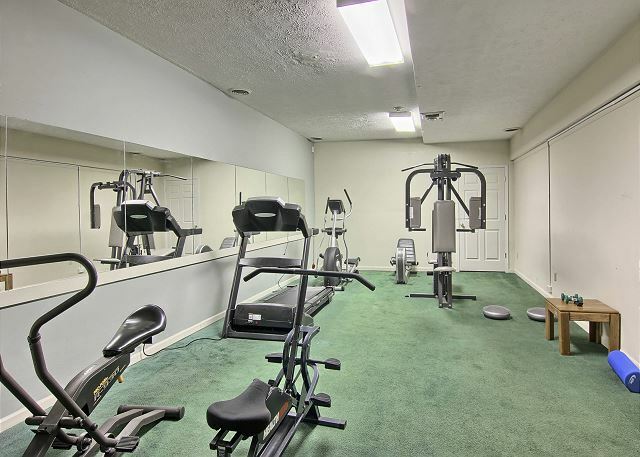 Weight machine, treadmill, stationary bike, and elliptical machine await you in our complimentary fitness room. 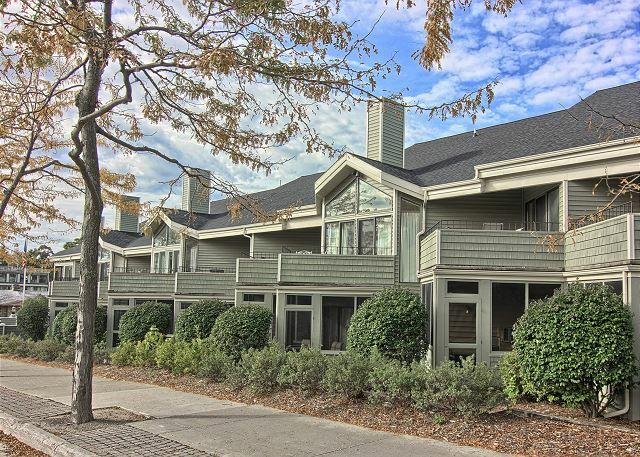 Pointes North Inn is one of Charlevoix's unique condominium suites that book like a hotel room. Book for the privacy, stay for the hospitality. This beautiful condo has a king-size bed with a queen-size sleeper sofa in the living room. The bathroom has a 2 person jetted tub and separate walk-in shower. 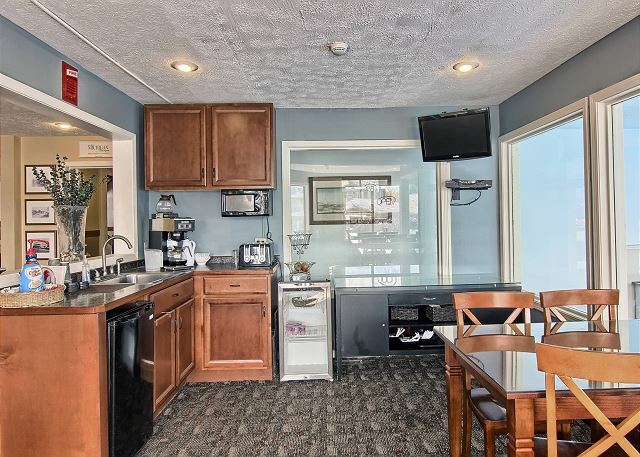 The living room area has a small kitchenette with a small fridge, coffee maker and microwave by a four-person table. Also in the living room area, is a queen-sleeper sofa couch with a comfortable chair to cozy up to the fireplace. Cable television is in the living room and bedrooms. 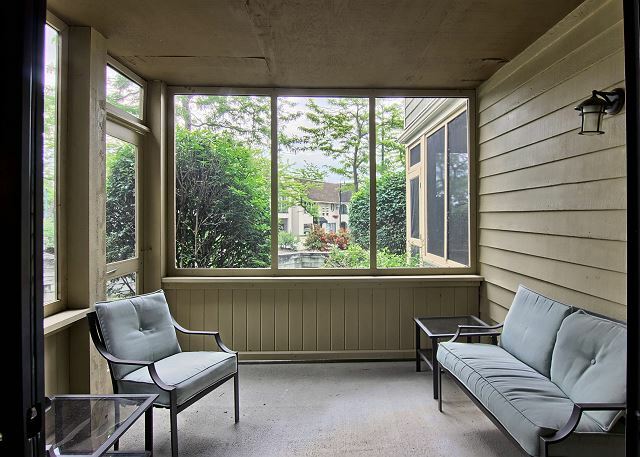 Next to the living room, is a screened in patio space with seating for four. 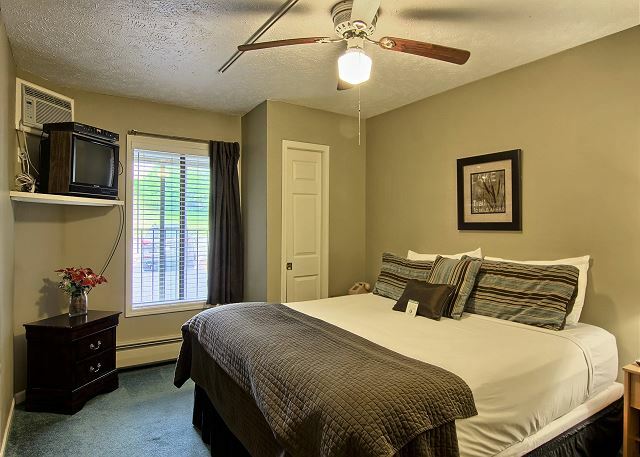 Pointes North Inn has high speed Wi-Fi throughout the building and coin operated laundry on the second floor. In the lobby area, there is seating for continental breakfast which overlooks the heated indoor/outdoor pool. The inside section of the pool is open year-round, while the outside section is closed off October to May. All this, just a stone's throw from Charlevoix the beautiful downtown. Very nice condo at great price. Comfortable large one bedroom condo that was clean and well taken care of. Only complaint bedroom air was set quite high for our taste. Otherwise loved it. We had a great time in Charlevoix, and I couldn't have chosen a better place to stay. The location was perfect, central to everything (especially the marathon, the main reason for our trip). The room was comfy and clean and we absolutely loved the screen porch. I wish we could've stayed longer - I can't wait to go back and would definitely stay here again.